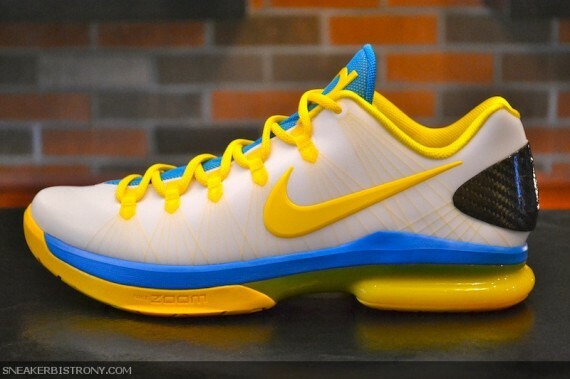 Hitting retailers soon from Nike Basketball is this all new KD V Elite in Oklahoma City Thunder home colors. 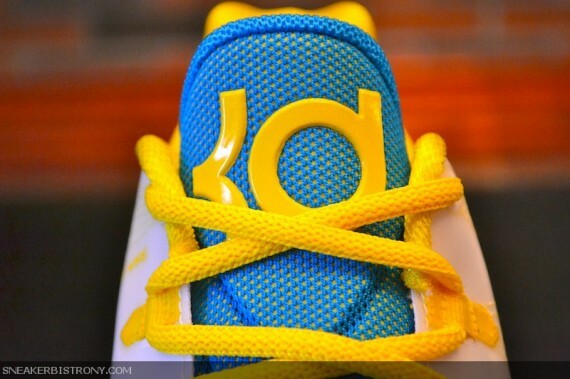 Toning things down a bit in comparison to the "Superhero" version released as part of their debut, this latest release of the KD V Elite sports an OKC thunder yellow-based color scheme. The white upper is brought to life with yellow laces, Swoosh logos and yellow Dynamic Flywire. Photo blue hits the tongue and midsole, while yellow comes through once more over the outsole and heel 180 Air unit. 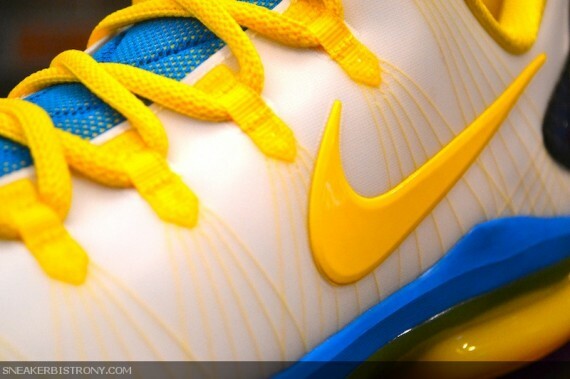 The "OKC Home" NIke KD V Elite is set to release May 18th at Nike Basketball accounts such as Sneaker Bistro.